Hello to all the new Prep students for 2015! It’s exciting being at school but there’s also lots of new things to learn – such as when is it lunchtime? Where do we sit at assembly? If the teacher sends me to “Run a message over to the office”, how fast should I run? 1 . Your parents are probably asking you about school all the time. Tiring I know, but they’re busting to hear if you’re having fun. Throw them a bone and tell them something about your day. 2. At some stage, you’ll accidentally call your teacher ‘Mum’. Don’t stress, even the grade six students sometimes make that mistake. 3. Lining up at the canteen can seem a little stressful but if you ask for something in a loud, clear voice and remember your ‘pleases’ and ‘thank-yous’, then Sally (the canteen manager), will not mind waiting while you count out two dollars worth of five cent pieces. 4. Tell your parents that the Peppercorn BBQ (this Friday night) is one of the biggest and most fun events on the KPS social calendar and that you absolutely must be there. 6. Look after your stuff, particularly hats and jumpers. If you take them off, put them in your bag. Parents get cross when bits of uniform go missing (hint: if they’re carrying-on about it, check first whether they remembered to have lunch – see no.5 above). 7. Make sure your school bag stands-out. Add some key-rings or tags so that you know which one is yours (makes putting away the hat and jumper easier as well). There’s no such thing as too many key-rings. 8. Start agitating for play-dates after school. Your success rate will be approximately one in ten requests. 9. Your parents will probably go on about friends. Ask them if they’d like to make some new friends at Kew Primary. Suggest joining the PTA, the School Council, helping out in the classroom/ canteen/ library or coming along to the Peppercorn BBQ – all good places to start (remember, they might be a little nervous, so be encouraging). 10. Show-and-Tell tells you a lot about your classmates. Some kids love it and have something to share every single day. Other kids feel a bit sick at the thought. If you’re in the first group, take a day off and let others have a turn. If you’re in the second group, make Show-and-Tell the bravest thing you’ve done this week. 11. Before you tell your parents “My teacher said I did/didn’t have to do x”, think carefully. For example “My teacher said it would be a good idea if I brought my 470-piece Lego construction to school for show-and-tell.” Parents are in the habit of checking facts. With teachers. 12. 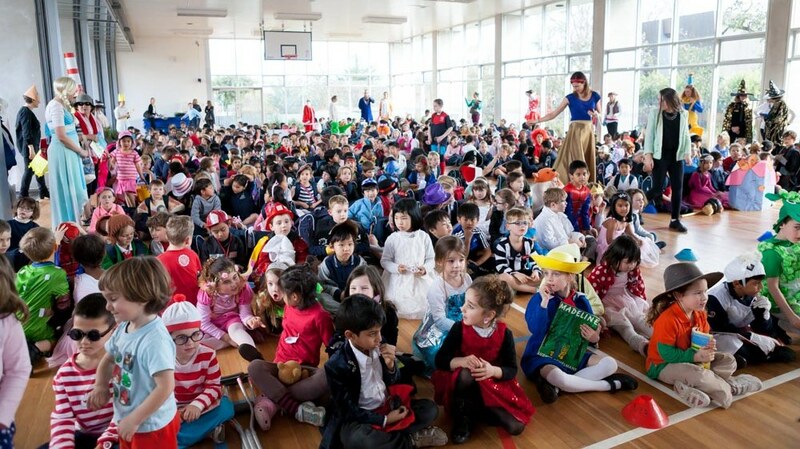 Sometimes there are special dress-up days at school, such as dressing as your favourite book character during Book Week. Costumes can be as elaborate as you like – start planning weeks in advance and present your ideas to your parents the night before the costume is required. 13. School photos are on Friday. Bring your very biggest smile and show all your teeth (if you have teeth). 14. The school week ends at KPS with the ‘CARE dance’ (a song is played at the end of assembly and everyone dances). Go crazy – it’s a fantastic opportunity to show-off your best moves. 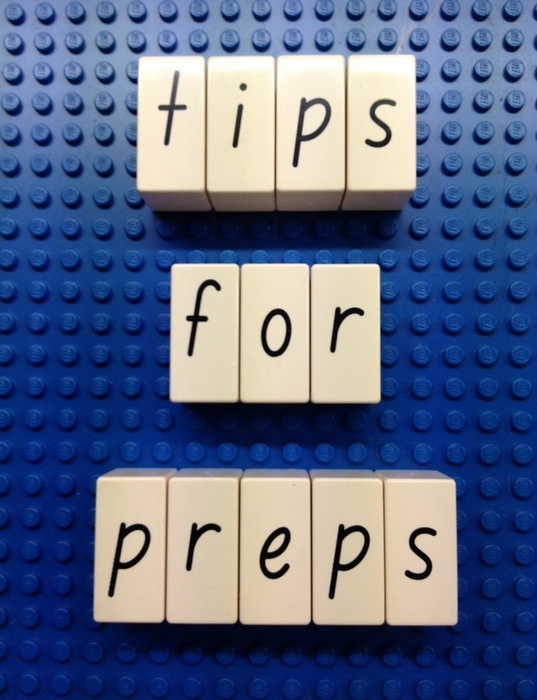 For parents seeking actual, helpful advice, see our previous post on tips for Prep parents. This entry was posted in Student Well-being, Students and tagged parents, Prep, student engagement and well-being by Kate W. Bookmark the permalink. This is so funny and so true! Love it! Parenting can be so challenging and daunting at times that it’s good to be able to have a laugh about it, to put things in perspective, so we don’t stress ourselves or our kids out. Next time I;m feeling stressed and impatient with my kid’s I’m going to remember the “five cent piece – canteen” story!